This page lists all your saved records from the Mash Chemistry and Brewing Water Calculator. After you login, (please sign up first), you will have the ability to save water calculation results to this page. 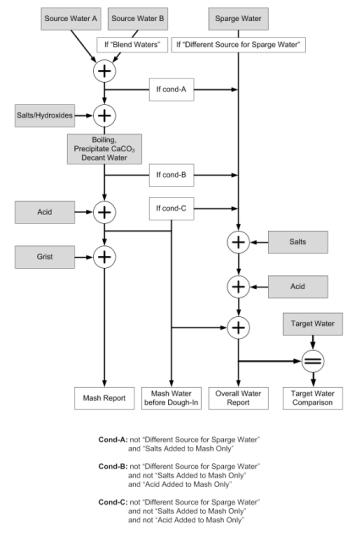 Whether you are a brewer looking for a tool that allows you to calculate a resulting water profile based on a source water profile and salt additions or a brewing water expert who wants to figure out the amount of slaked lime needed for optimal alkalinity precipitation, this tool has you covered. It is designed to be simple and intuitive to use yet sufficiently accurate in its implementation of the underlying chemistry.